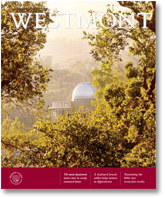 How can Westmont better meet the needs of alumni? To answer this question, the alumni and parent relations office is sending students to talk to alumni one-on-one. During school breaks, these student ambassadors will sit down with alumni in their hometowns and ask them about their experiences while at Westmont and since they’ve graduated. At the same time, the students will discuss the college today. The alumni office will use the information gathered to better serve alumni. “What we learn will help us form strategic plans, set goals, and discover ways to provide effective and relevant programs and communication to our alumni,” Rouse says. During the next few years, some of Westmont’s most talented first- and second-year students will meet with more than 1,500 alumni. The program began during spring break in March 2013. Emily Pihl ’16 belongs to the first group of ambassadors trained during the spring. 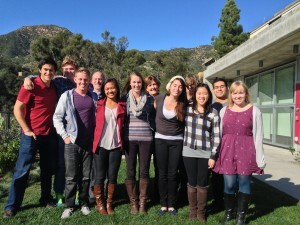 “I wanted to see what life after Westmont is like and build relationships with alumni,” she says. 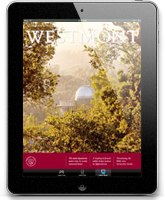 The first time she visited Westmont with her brother, Zach ’14, she felt a sense of belonging. Connecting with alumni has deepened that feeling. A native of Tustin, Calif., she has interviewed about a dozen alumni in Orange County, contacting them herself to set up meetings. She talks about her major in education, her minor in Spanish and her plans to teach elementary school. But mostly she listens to experiences from alumni of all ages. She loved meeting a couple who knew Kenneth Monroe and John Page. She’s surprised at the range of professions she’s encountered and says she hears recurring themes. Alumni describe their time at Westmont as “life-changing,” they value the liberal arts, and they keep in touch with classmates and professors. “It’s been good to see how happy they are and how God has blessed them,” she says.